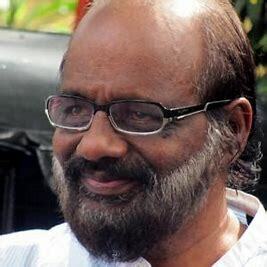 Eminent Malayalam filmmaker and chairman of the Kerala Film Development Corporation, Lenin Rajendran, died at a private hospital in Chennai on Monday, following liver related ailments, hospital sources said. Rajendran, 67, recently underwent liver transplantation surgery. “He directed 16 films. He always treaded a different path and that’s what made him different. He was a known Left traveller, that was evident in most of his pictures. His unexpected demise has come as a shock. The Malayalam film industry would miss him,” said Balan. He was fielded from the Ottapalam Lok Sabha constituency by the CPI-M twice in 1989 and 1991 against K.R. Narayanan. He began his film career as an assistant to director P.A. Backer and directed his first film ‘Venal’ in 1982 and his last film was ‘Edavappathy’ in 2016. He won five Kerala state film awards in his career. Known for his unique style of filmmaking, his debut movie was ‘Venal’ during the early 1980s. Rajendran helmed a number of critically acclaimed movies including “Swathi Thirunal”, “Daivathinte Vikrithikal”, “Mazha”, “Kulam” and “Idavapathi”. Kerala Chief Minister Pinarayi Vijayan and leader of Opposition Ramesh Chennithala condoled the death of Rajendran.Rajendran is survived by wife and two children. Be the first to comment on "Renowned director Lenin Rajendran dies at 67"